Playing varsity all four years, Taylor Boling has signed to East Tennessee State University for softball. Though she has played other positions, like shortstop her freshman year, Boling is now a pitcher only, meaning she never bats. This is a position she herself says she loves. Boling says she was attracted to East Tennessee because it maintains the mountain setting while giving a more “big city” feel than Gilmer. Moreover, East Tennessee will have Boling playing on a full scholarship. Not a common thing, Boling says she couldn’t say no to the opportunity. The scholarship translates to academics for the young athlete as she states the university offers experts in medicine through Olympic trainers on staff. Boling states she was excited to study medicine under professionals of that caliber. Majoring in biology to become a physician’s assistant and considering a dermatology specialist, she is also looking forward to continuing into the medical school on campus after the biology major. Already preparing for the path, she is currently in her final class of the Sports Medicine Pathway at Gilmer High School and prepares to take on Work Based Learning at a local dermatology office next semester. Boling also considered Troy University, University of North Georgia, Mercer University, and even Georgia Tech. Brooks Rosser has pitched since childhood and the first leagues where he was allowed. Signing with Truett-McConnell, Rosser says they were “the best feel” outside of baseball. In fact, much of Rosser’s talk of Truett-McConnell didn’t focus on sports, but rather the people, coaches and staff there that will further his life and faith. He went on to say it was Head Coach Mike Croley that really sold him on playing there. Croley consistently spoke to and guided Rosser during the process. The “personal touch,” Rosser says, showed him that he wasn’t just another recruit, but he felt they wanted him specifically and did everything they could to get him there. “It wasn’t just another email. It was a text. It was a phone call. It was everything,” Rosser added. 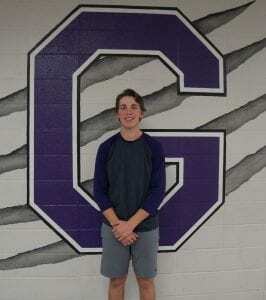 Signing a roughly 75 percent scholarship, he says that Truett-McConnell’s focus on “what kind of man you’re going to be outside of baseball” was the academic draw. Looking to obtain an MBA and focus on supply chain management or marketing, Rosser has several plans beyond college already. Part of his draw to even begin looking at Truett-McConnell was their Pitching Coach Ross Roberts who has already had two players drafted to the majors. With only three years at the school, Rosser is eager to join the program believing the future looks even brighter than the already two drafted athletes. Hopes spread to his current coach, Jeff Thurman, who praises Rosser’s ability saying that his pitch variety is one of Rosser’s greatest strengths that he takes to Truett-McConnell and possibly further. Being able to continually locate a fastball, curveball and slider, as well as Thurman saying he can do change-ups well too, adds a lot to his already high ceiling and continuing to grow could lead Rosser very far.